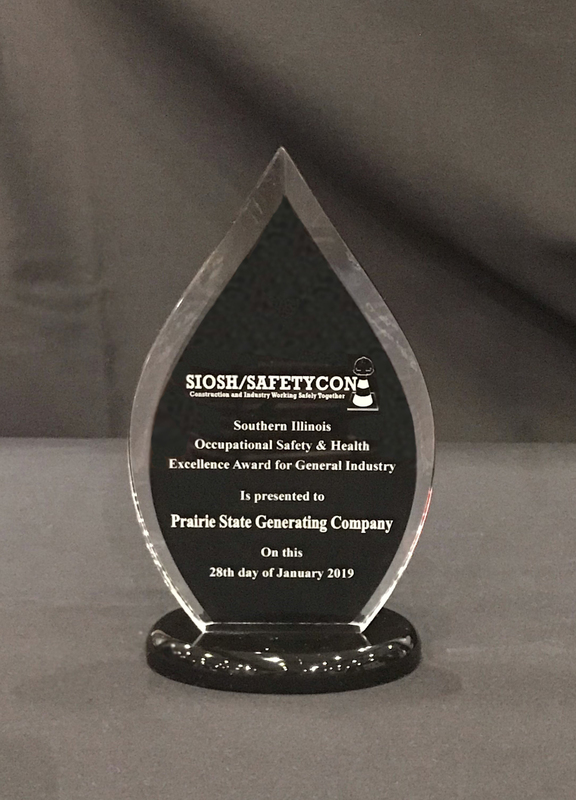 The Prairie State Generating Company (PSGC) is pleased to announce that its power plant team has been recognized with the Southern Illinois Occupational Safety and Health (SIOSH) Excellence Award for General Industry. 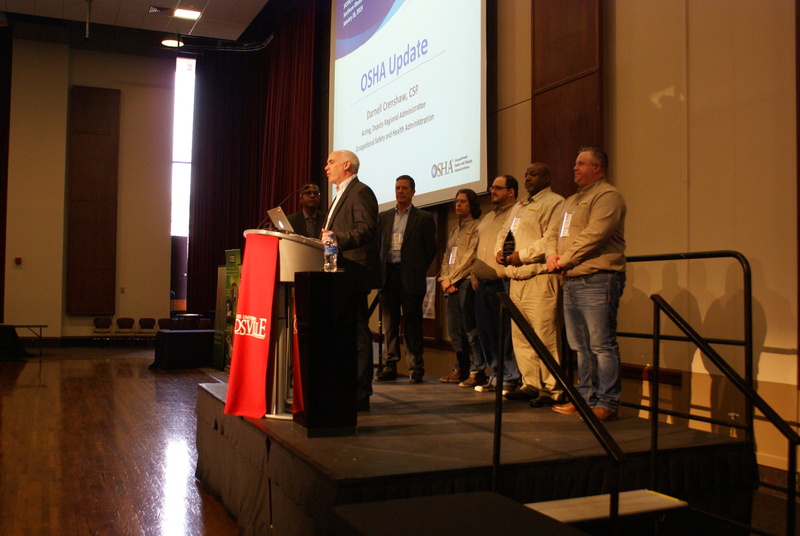 The SIOSH award was created to promote and improve safety culture in higher-risk industries. 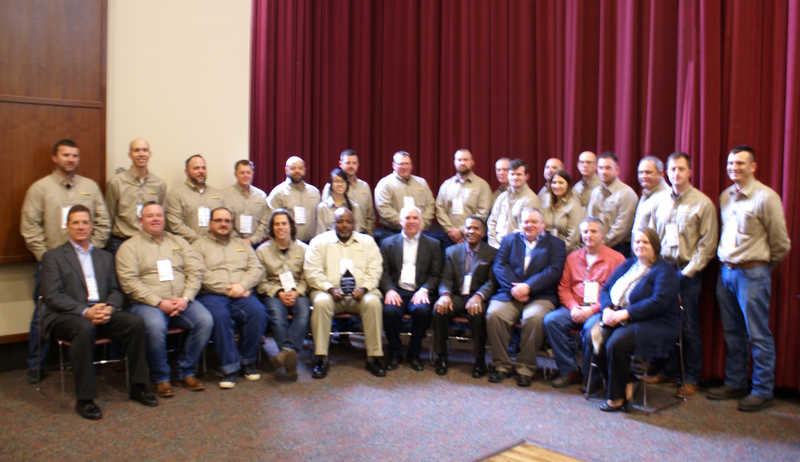 This award encourages hard work by employees, supported by leadership, to establish excellent safety and health programs. 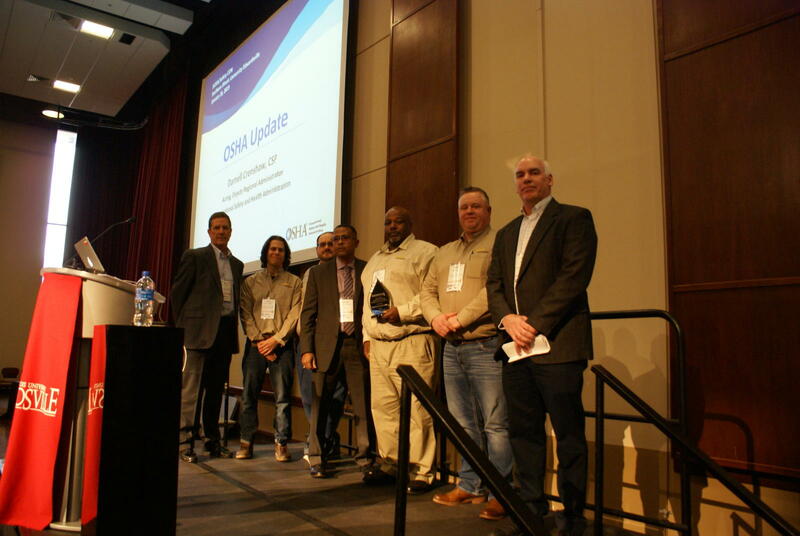 Accepting the award on PSGC’s behalf were Randy Short, Chief Operating Officer; Ken Pollmann, Vice President of Power Generation; and the chairmen of PSGC’s various safety committees: Jemal Warren, Josh Haley, Jason Nichols, and Ken Bone.